However, 42 are available from other sellers. 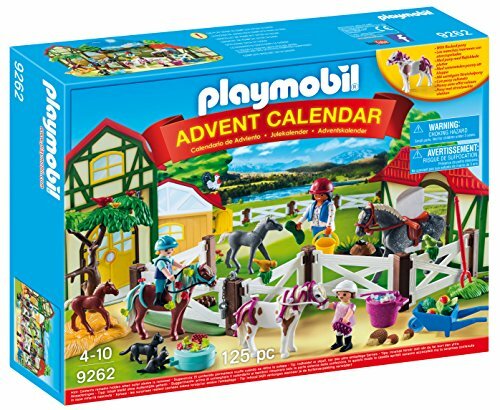 The Playmobil Horse Farm Advent Calendar is the perfect way to count down to Christmas! 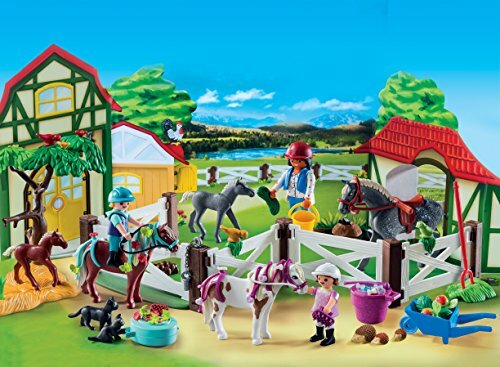 As each of the 24 doors is opened the Horse Farm scene is slowly revealed showing the Playmobil horses and trainer teaching the children how to ride. While the tutor cares lovingly for the small foal of her horse, the girls adorn the two ponies with pretty flowers.. The cute Pony foal is playing happily with the two cats. The set comes complete with fencing to keep the horses safe, food, farm creatures, five horses, 3 Playmobil figures and lots of accessories.